Copco Tea Thermal Mug - Tea Infuser Only $6.49! Ships FREE! You are here: Home / Great Deals / Copco Tea Thermal Mug – Tea Infuser Only $6.49! Ships FREE! Copco Tea Thermal Mug – Tea Infuser Only $6.49! Ships FREE! This is exactly what I need! 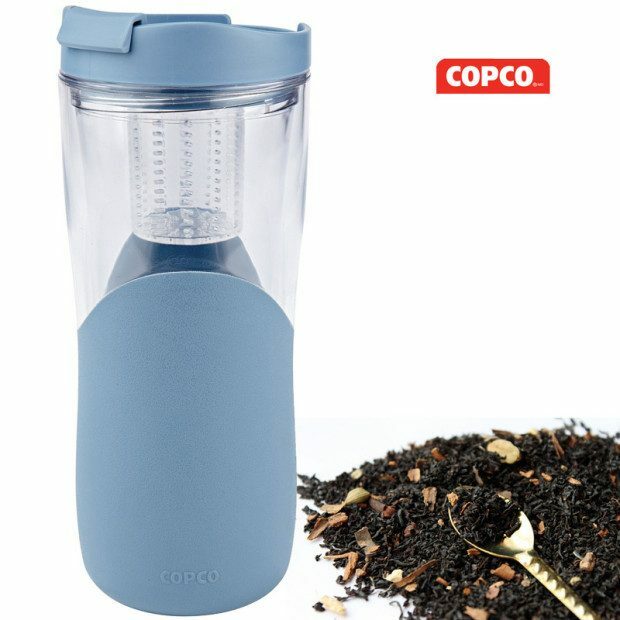 Order this Copco Tea Thermal Mug – Tea Infuser Only $6.49! Ships FREE! Soft grip tea thermal features a BPA free liner and infuser with durable polycarbonate outer. Double wall construction keeps drinks hot or cold. Removable infuser steeps loose leaf tea or tea bags. Cup holds 14-oz. of liquid, just what you need for tea on the go!